The cause is still unknown, but they are successively discovering birds that are under control of the power of the cursed seal. 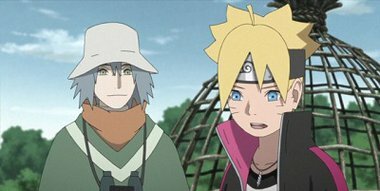 Boruto and his comrades from Team 7 are with Tosaka: They are running around together with Juugo, who can absorb the power of cursed seals. Boruto and his comrades continue to rescue the birds by using tranquilizers, so that Juugo and them won’t be controlled by the cursed seal again. However, an incident occurs where they lose all of their tranquilizers.